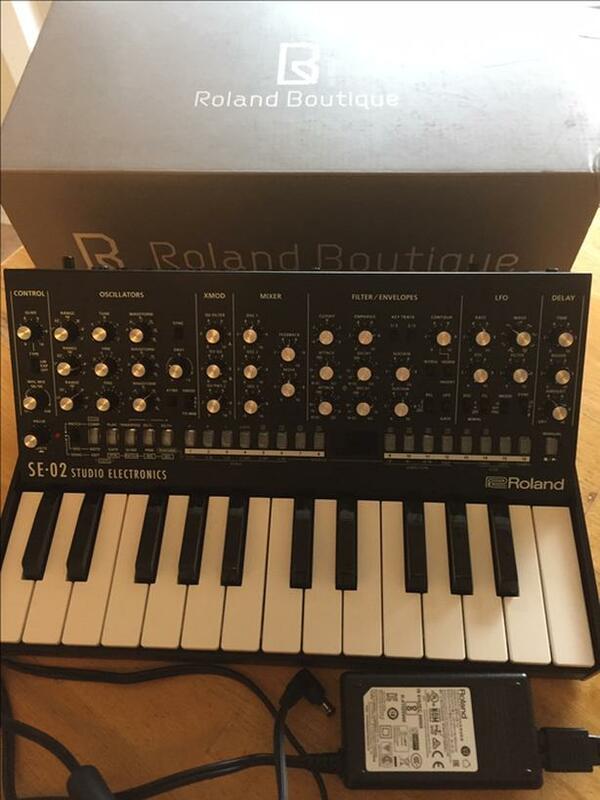 A collaboration with Studio Electronics, the SE-02 is the debut product of the new Roland Boutique Designer Series. It takes inspiration from the Minimoog Model D and other '70s instruments. Selling together with the K-25m (retails for $140), a 25-key, velocity sensitive keyboard designed for use with the Roland Boutique series. In excellent condition, barely used.